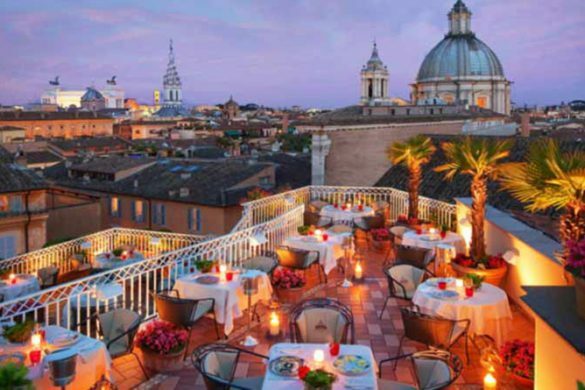 Don’t get us wrong – Venice and Rome are must-see destinations on anyone’s bucket list. But Italy is full of breathtaking small nooks, villages and cities with awe-inspiring scenery and history. Getting to these places is easier than you might think! 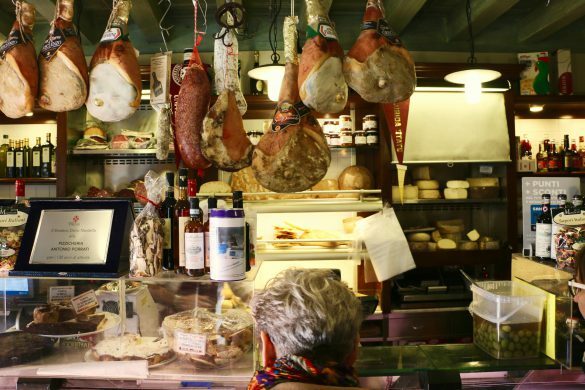 Add these eight hidden gems of Italy to your travel itinerary for an vacation that sounds so magical you made it up. Visiting these unsung places on your trip to the “The Boot” is a decision you won’t regret. Procida, a small island in the bay of Naples, is often overlooked because of its popular neighbor Capri – but once you see this tiny fisherman village, your jaw will drop in disbelief. 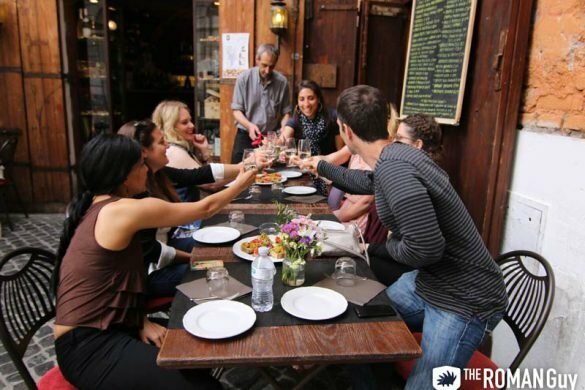 As you zigzag through the colorful narrow streets, friendly locals greet you with a smile and a genuine “buongiorno”. In comparison to the more touristy islands in the area, Procida has an authentic and lived-in vibe. Still undecided? Procida is so charming that the island was featured in the popular Italian film Il Postino (The Postman). Getting There: An easy 30-minute ferry ride from Naples. Check out the schedules here. Civita is a tiny town accessible via a long enchanting walkway from the town below it, Bagnoregio (hence the name Civita di Bagnoregio). The walk up the floating pathway takes 15 minutes. And once you enter the town – the silence and beauty is overpowering. With only 14 year-round residents, you’ll feel like you just ascended into the most magical of all Italian villages! Wander around and venture down all the town’s alleys and arteries to find a different breathtaking view down each path. Although it only takes about 20-30 minutes to walk down every street in the town, the sheer amount of photo opportunities around every turn is enough to keep anyone entertained for at least a few hours. If you work up an appetite, stop into one of the tasty local restaurants for lunch. Tip: Spend some time exploring the charming town of Orvieto in the same day by taking the funicular up from right outside the train station. Climb to the top of the bell tower for stunning views of the town and the rolling hills that surround it. Getting There: From Rome or Florence, take the speedy train to Orvieto. 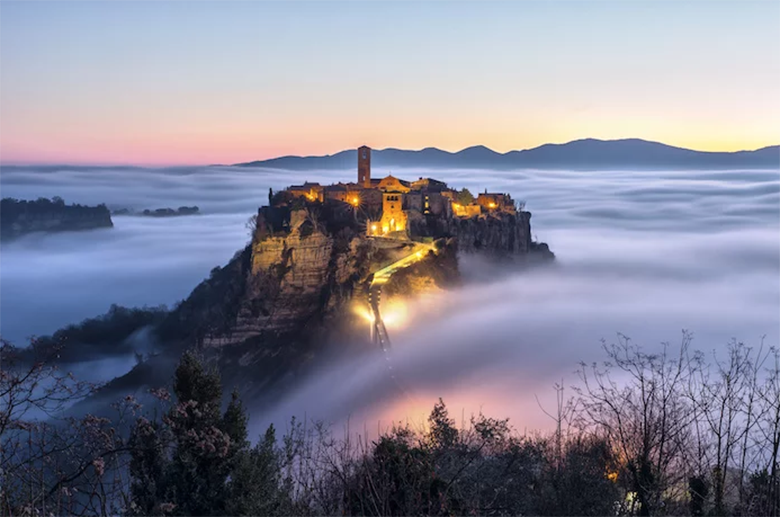 To get to Civita from Orvieto, take the bus that departs from the train station to the town of Bagnoregio. Make sure to check the Bus Timetable before you go. There are limited buses that run, especially on certain days. Next time you plan a trip to the Italian Riviera, don’t miss the crystal clear waters of the tiniest beach town you’ll ever see. Take a stroll along San Fruttuosa’s pebbled sand, an entire two minutes from one end to the other. That’s how small this beautiful beach is! Walk through a small tunnel walkway and up a set of narrow stairs to reach the few main streets in the town. Check out the Abbey – it has been everything from a monastery to a pirate’s den to the home of a princess. San Fruttuoso is, without a doubt, one of Italy’s most beautiful beaches. Getting There: Don’t expect to drive here, the secrecy of this beach is upheld thanks to the fact that it’s only accessible via ferry ride from Portofino. Getting to San Fruttuoso on foot is a couple of hours’ hike from either direction – the easiest way to get here is by boat. Panoramic view of Brisighella. Emilia-Romagna. Italy. 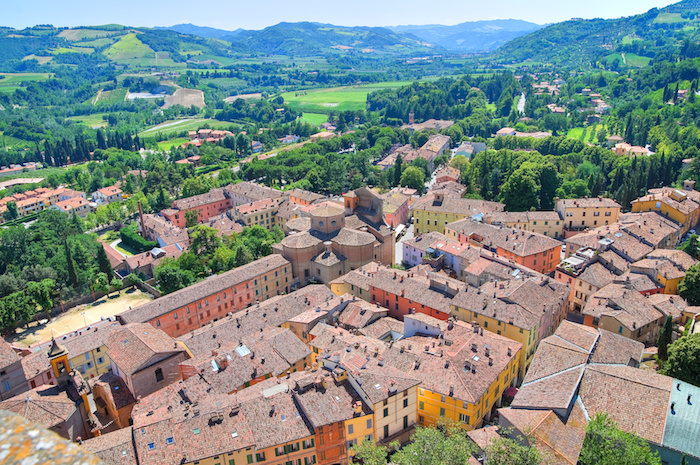 Tip: Don’t expect people to speak English here –Brisighella is a true Italian village. But don’t get discouraged, each and every resident will welcome you with open arms, ecstatic that visitors are enjoying the beauty of their home. Getting There: A quick hour and a half train ride from Florence. The station is right in the center of town, so hop off and start exploring. Alberobello is a small town in Puglia, famous for its white, cone-roofed houses called trulli. The trulli of Alberobello are famous across Italy – the Trulli District counts as one of the 53 UNESCO World Heritage Sites in Italy. The conical-roofed homes give the small town a fairytale vibe. Stop in for a local lunch at one of the family-owned restaurants that serves up traditional Southern Italian food. Tip: See for yourself how stunning this place is in this slide show on Huffington Post. Getting There: Just an hour and a half train ride from Bari Centrale, a round-trip ticket costs a mere €9. The center of town is a pretty 15 minute walk from the station. Situated around the corner from Portofino, Rapallo is the largest Italian Riviera seaside resort towns. There are plenty of things to do in Rapallo, but make sure you taste the fresh seafood served at the restaurants in town. There are also pedestrian shopping streets in the historical center and a the Rapallo Castle in the sea. The facades of the buildings create a vibrant, colorful atmosphere that invites you to wander and soak up the town’s charms. If you’re looking for a taste of luxury, book a night or two at the Excelsior Palace Rapallo. 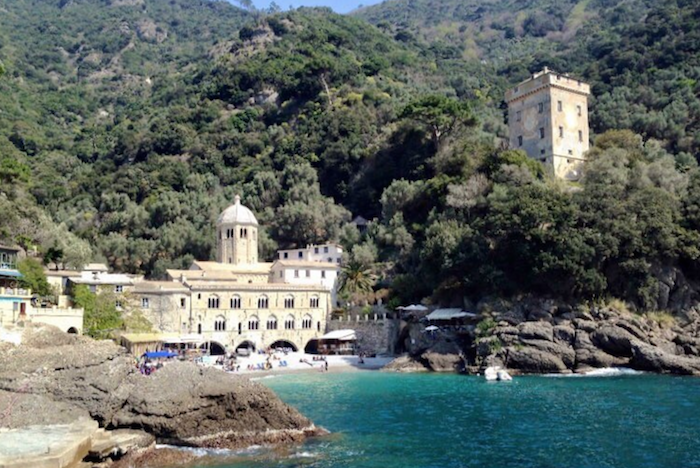 With Rapallo as your base, take an easy ferry ride for day trips to San Fruttuoso, Portofino and Santa Margherita! Getting There: Take the train to the Rapallo Station, situated near the center of town, and just a few minutes walk to the bay. Tucked away along the cliffs of the Basilicata region is the village of Matera. Recognized as a UNESCO World Heritage Site, The cave-like homes and structures of Matera are carved out of the limestone rocks. There are two neighborhoods, ,referred to as “Sassi”, made up of these stone dwellings. Dating back over 30,000 years (15,000 BC) during the Palaeolithic period, Matera is the runner-up for being the oldest continuously-inhabited settlement in history, behind Petra, Jordan. This is also where The Passion of the Christ was filmed in 2004. Getting There: The easiest way to reach Matera, which, low and behold, does have a train station, is through Bari. Take the train from Bari (not Bari Centrale, but from “Ferrovie Appulo Lucane”) to Matera Centrale. The journey takes a little under an hour and a half of a ride. From the station, it’s 15 minutes by foot to the I Sassi di Matera. Since it is not served by the national Trenitalia lines but by Ferrovie Appulo Lucano , check out the train timetables in advance. Okay, maybe not so hidden anymore. But five years ago Cinque Terre would have been considered a secret. 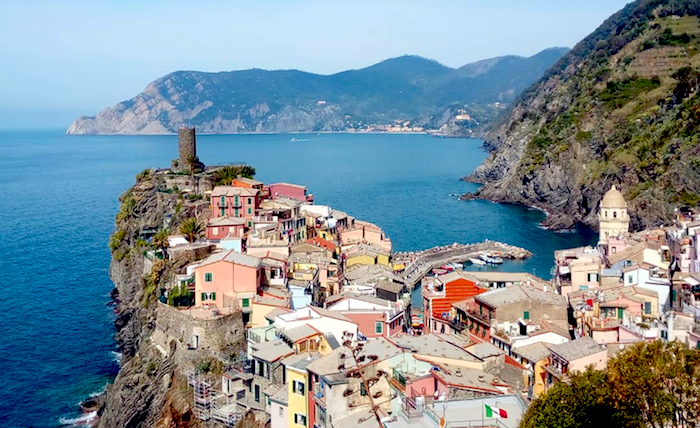 The largest town in Le Cinque Terre, Monterosso is the perfect starting point for a breathtaking (literally) hike through these five colorful towns. It may take you about 5-7 hours, depending on how long you take to stop and take photos, but it is well worth it. Tip: After your long day’s hike, be sure to have dinner at Ristorante Ciak for some incredible seafood. Getting There: Take the train to La Spezia. Once there, trains run through the cliffs to each of the five towns. Make sure you check for closures prior to your trip, as certain routes may be closed due to inclement weather. Don’t fret though, you can always take the minute-long train ride through each town, or even a nice ferry ride between each one for a more unique vantage point. If you are interested in visiting any of these places, and you want us to handle all the details for you, get in touch with our Trip Planning team for an unforgettable Italian vacation. If you want us to handle the entertainment in Rome, Florence, Venice and beyond, check out our tours. 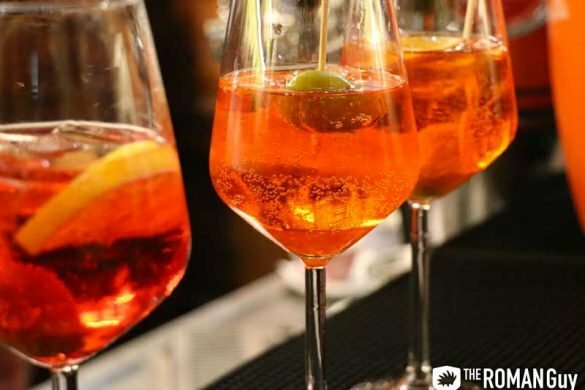 Follow us on Facebook, Twitter and Instagram for more tips and info on where to go in Italy.